Which might you prefer to lug around? So often I get requests for an iPad for a student. The teacher or parent may even have a specific task or set of tasks they want the student to use the iPad for. I have started looking even more closely at whether or not the iPad is the best tool for the job. More often I'm finding that the smaller (and cheaper) iTouch is a better route to go. If the student is needing to use an app such as Read2Go to access books, which they will listen to and follow along with the text, an iTouch may work just as well. That is, if they don't have vision issues. Perhaps the student uses a picture schedule, or needs to be able to snap pictures for a blog. If that's the case, an iTouch will do the job. The other benefits are that an iTouch slips into a pocket. And they are much cheaper to replace if they are broken or stolen. So, when you are preparing to set a student up with an iDevice, don't overlook the functionality of an iTouch! A handful of folks have asked about getting a key-guard for iPads. Lasered Pics is an online company that makes a wide array of quality key-guards for a very reasonable price. They make 1/8 inch clear acrylic key-guards to fit with a variety of cases including my favorite, Big Grips. Their key-guard retails for $23.95, and adheres with four suction cups. If you are needing a specific key-guard, perhaps for a custom Abilipad keyboard, they will make custom guards. The Lasered Pics key-guard I've been using is well made, no sharp edges, burrs, or irregular cuts. It appears to be designed to last. The suction cups are removable, so they can be replaced when they finally wear out. Definitely a quality product for a reasonable price. Today was my first day back at school. I answered over a hundred emails today, and have several more to address tomorrow. I lost one of my dogs. The axel on my SUV broke going down the highway at 70 mph. I got stung a dozen times by yellow jackets. The car was the easiest thing to patch up. The loss of a pet is always painful. The yellow jackets hurt and then were itchy for a week. Then they were fine. The loss of a beloved sibling is devastating. Ed was a loving husband, father, and hard working man. 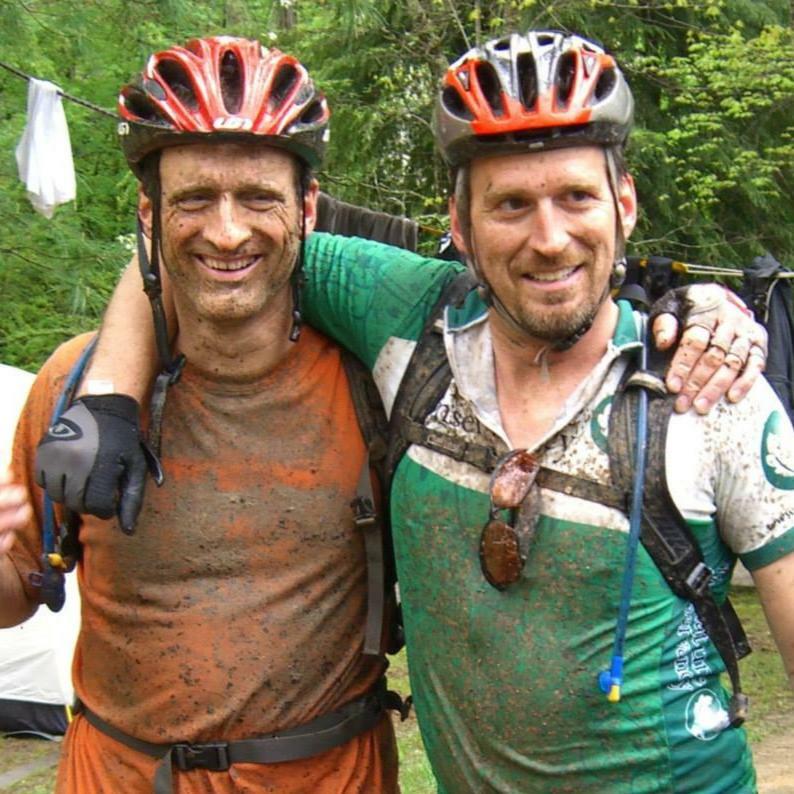 He was also an amazing cyclist who logged more miles than most folks half his age. Ed was a Quaker like myself. 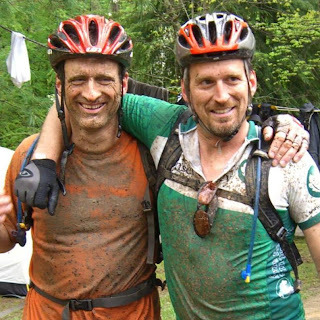 We went on two bike trips together every year. I am missing him tremendously, and imagine I will continue to miss him for a long time. It's been a tough summer. The powers that be seem to be determined to undermine public education here in North Carolina. Folks are trying to remain upbeat, but it's tough. So, on Facebook today, my friend, colleague, and one time mentor Lynda Reilich (she may not know I think of her as a mentor) posted a video that was just what I have been needing. I've posted it below and hope that it lifts you in the same way it lifted me. Hope your school year is blessed and fruitful! My blog may feel irrelevant to you lately, but I do think what happens in education in one state bears watching in all the other US states, as it could quickly be our own experience. The current climate of education in NC feels so pressing and depressing, that I just feel the need to pass on what NCAE is working on. Whether your a Dem or Con, please contact your representatives and let them know you are appalled by how we are undermining our children's future. The News & Observer editorial board observes in this editorial what many political watchers have noted recently: The General Assembly and Governor McCrory have managed to unite public school educators and parents against their leadership. 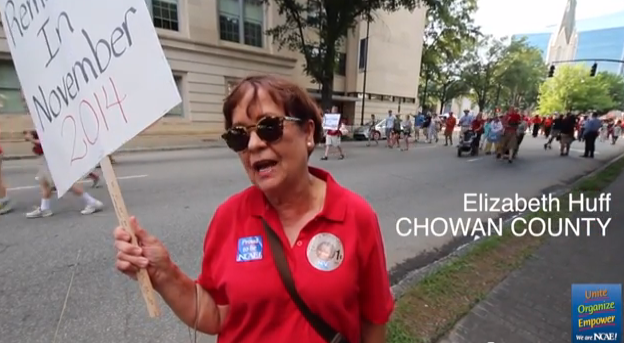 Click here to view 'NC Association of Educators at Moral Monday | July 29, 2013'. North Carolina, a right-to- work state, doesn't have teachers unions, but as teachers return to their classrooms this month they've never been more united. In their recent session, lawmakers did nothing to lift North Carolina's teachers from near the bottom of national pay rankings. They also cut funding for thousands of teacher assistants, allowed class sizes to grow and took away teachers' basic protection against dismissal without reasonable cause. Complaints about pay or being taken for granted are hardly new for teachers here or virtually anywhere in the nation. But the extent of those complaints among North Carolina's more than 95,000 public school teachers feels broader than ever. Two weeks ago, a final Moral Monday demonstration in Raleigh was centered on teacher issues and drew a massive crowd. At a western version of Moral Monday in Asheville last Monday more than 5,000 protesters turned out. June Atkinson, the state's superintendent of public instruction and a former teacher, said recently, "I am truly worried about the ongoing starvation of our public schools. I see other states making a commitment to public education. In our state I see in this budget we're cutting teachers, we're cutting teacher assistants, we're cutting instructional support." What makes this neglect especially galling is that some Republican lawmakers deny it's happening. State Sen. Thom Goolsby, a Wilmington Republican, wrote recently that reports of reduced funding for K-12 education are fictions being spread by "professional educrats (education bureaucrats) and their buddies in the mainstream media." He went on, "So where are these cuts? Good question. One can do a web search and find literally hundreds of liberal media articles and reports bemoaning non-existent budget cuts to education. Where is a truthful answer to our question?" The truthful answer is that in dollars adjusted for inflation and the state's growth, North Carolina will spend $534 million less in the next fiscal year than it did in 2008, according to the N.C. Justice Center. It's true that spending in raw dollars has increased, but it has not kept up with inflation and it has fallen behind the state's needs as its population has grown. Other GOP leaders acknowledge the shortfall, but say the dollars are not there to provide teachers raises and more state funding to local schools. Senate leader Phil Berger, an Eden Republican, said teacher raises weren't possible because the legislature had to commit an additional $1.5 billion over two years to pay for Medicaid. But Berger also backed major tax cuts signed by the governor that will cost the state $500 million over the first two years and more than $2 billion in lost tax revenue over the next five years. The truthful answer isn't that North Carolina couldn't afford to give money. It just couldn't afford to give it to teachers. 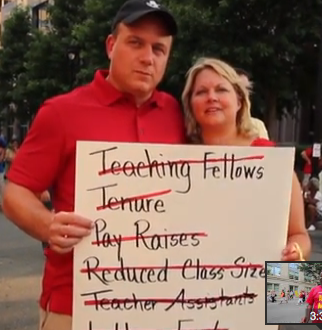 The strength of resentment among North Carolina's teachers is unprecedented. It's hard to tell whether it marks the awakening of a movement for major improvements in North Carolina's schools, or whether it is a cresting of outrage to be followed by teachers giving up and getting out. Rodney Ellis, president of the North Carolina Association of Educators, said he sees many teachers who are fed up. "It's disheartening to say, but there are a number of my colleagues who say they just can't take it anymore," he said. "I've seen good quality teachers depart for other places, or they've chosen to leave the profession altogether." But Ellis sees another response, too. "Looking at Moral Monday, there are a number of teachers who are ready to fight," he said. That fight may lead to legal challenges to the end of teacher tenure and whether current education funding meets a state constitutional requirement that entitles every child to a sound basic education. Ultimately, Republican lawmakers may be forced to see what they can't see and pay for what they've chosen not to afford. North Carolina continues to make unflattering national news (NY Times, Comedy Central, HBO, late night television, etc.) for the laws and policies recently enacted this past General Assembly session. NEA Today and Education Weekly are also giving coverage to cuts and policy shifts in North Carolina's public education system. Below is an article from NEA Today. Click here to watch the 4:44 minute film NCAE at Moral Monday | July 29, 2013. Note: DPB will not be published on Thursday, August 8. DPB resumes Monday, August 12. Schools may still be out for the summer in North Carolina, but thousands of educators in the Tar Heel State have spent much of July and August rallying in opposition to devastating cuts to public education. Teachers, support staff, parents, and school administrators have come out in droves in massive public protests, and many have gone to jail over it, too. Governor Pat McCrory's state budget guts half a billion dollars from schools, leaving fewer teachers, textbooks, supplies and school busses to support a growing student population, and-without a pay increase-a faltering education profession. "Education cuts never heal," said Amy Harrison, a special education teacher in Guilford County. "We may not see the immediate effects of these cuts this year or the next, but 10 to 15 years down the road when students are in college or entering the workforce that's when we'll see them." What will be immediate are the 9,000 education positions that will be purged, along with the cap on class sizes and more than 10,000 Pre-K slots and the cap on class sizes. Protests have been organized by the NAACP every Monday since late April. Called Moral Mondays, these marches have drawn thousands of people from across the state and have given educators a platform to tell the governor and the conservative legislature that they're destroying public education. North Carolina has enjoyed a long history of innovative and progressive policies that served as a catalyst for great public schools. But with McCrory's new budget, the state is kowtowing to the likes of the Koch brothers and other special interest groups that have done little to improve public education for every student-similar to what is happening in Wisconsin, Florida, and Indiana. "We as North Carolinians voted in a governor that we thought would be moderate. His decision and legislation thus far has mirrored everything that is bad for public education," said Chuck Hennessee, a teacher from Chapel Hill. He added that the governor has been taking counsel from the John Locke Foundation, a conservative think tank, and Art Pope, budget director for the governor. Both are known to follow the extreme agenda of the Koch brothers. The budget is set to eliminate textbook funding by $77.4 million, classroom supply funding by $45.7 million and limited English proficiency by $6 million. Moreover, $50 million will go toward private school vouchers, leaving too many students behind, as public schools make a commitment to allchildren while private schools pick the crème de la crème. The budget also squanders away resources meant to attract and retain highly effective educators. The Teaching Fellows Program, for example, will no longer be funded. This program was once considered a national model for recruiting teachers into the classroom. Brad Rhew, a third year science and social studies in Forsyth County, is a graduate of the program. He says it was a great way to stay in North Carolina and go into the teaching profession, primed and ready. "You were put into some intensive trainings and workshops and given classroom experience," he said. "I felt so prepared to go into the profession when I graduated because of the program. However, our government decided that the program wasn't needed." Adding insult to injury, educators will go another year without a pay raise. The governor insists educators have seen an increase when they earned a 1 percent pay hike last year. But when you factor in inflation and rising insurance premiums, the pay increase didn't amount to much. In fact, North Carolina's teaching salary has been spiraling toward the bottom for years. In 2005-2006, the state ranked 27th in the nation in teacher pay at $43,922, according to the National Education Association's Rankings and Estimates. Last year, it dropped to 46th place at $45,947. And the insult comes here: In January, soon after McCrory was sworn into office, he gave top cabinet officials a hefty salary increase. The governor said to the NewsObserver, "I'm trying to make it at least where they can afford to live while running multibillion-dollar departments." Yet, many North Carolina educators work two jobs to make ends meet. Harrison is one of them. "We haven't had a substantial pay raise since 2008. I work a second job. I'm going to have to look at my finances and see if I have to work more [hours] at my second job," she said. "I understand the need to be fiscally responsible, but at the same time you can't say, 'Oh we're going to be fiscally responsible with education, but not with other things.' It needs to be fair." It's reasonably safe to say, educators are smart people. And because of their smarts, they don't like to be duped, which is what many say the governor is trying to do. Nashonda Cooke, an elementary school teacher in Durham, said, "There's a hidden agenda. What our governor is doing is the very beginning steps of privatizing education. He's trying to make it difficult for us to be successful in the classroom." And it's this situation, along with the other issues (gun safety, voter suppression, and employment benefits) that has moved North Carolinians to show up to Moral Mondays. What's next for the Tar Heel State? They're taking it to the polls. "It's like a giant who doesn't feel it has any opposition until the opposition shows up," said Rhew. "This isn't going away. There are going to be people protesting until the next election. Hopefully, most of the people who pushed this through will not have a nice, comfy seat in Raleigh." Newspapers from across the state criticized Governor McCrory's claims about education funding at the NC Chamber of Commerce on Thursday. Read NCAE's response to the governor's comments in Thursday's DPB. Hey North Carolina, turns out you have an education governor after all. 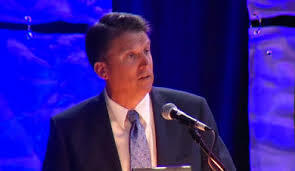 That's what Pat McCrory told a state chamber of commerce conference in Chapel Hill on Thursday. In fact, his speech was so pro-education and pro-teacher that we wonder if we maybe missed that advocacy during the recent legislative session ... let's check ... nope, we didn't. Public school and teachers needed an education governor last month when the Republican-led General Assembly was crafting and passing a bill that cut net education spending in the next two years, eliminated thousands of teacher assistants and left teacher pay abysmally low. But now that budgets and bills have been passed, and now that lawmakers have gone home, McCrory suddenly wants educators to know he's on their side. An example: McCrory has apparently discovered some concern about North Carolina sitting near the bottom of national rankings in teacher pay. McCrory said Thursday the issue had worsened under Democratic and Republican leadership. "It was unacceptable then and it's unacceptable now," he declared. Where was that resolve last month when Republicans crafted a state budget that again offered teachers no raises for the next school year? We don't remember any hesitation from the governor before signing that budget, which also phases out extra pay for teachers who earn a master's degree, yet another reason for N.C.'s best to look for work elsewhere. McCrory's answer: A $30 million innovation fund that would include $10,000 stipends for 1,000 top teachers. That adds up to a little more than one percent of the state's 95,000 teachers. So if you're merely the second-best teacher at your school, you're still out of luck. Educators should be encouraged, at least, that McCrory voiced support for North Carolina's participation in Common Core - a new, rigorous set of reading and math standards that more than 40 states have adopted. Common Core has been under attack in several states from conservatives, including N.C. Lt. Gov. 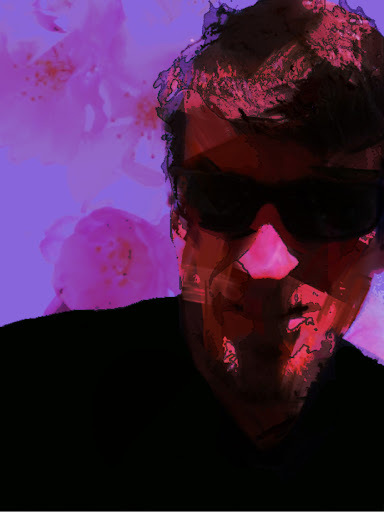 Dan Forest, who've spread misinformation about the program. McCrory called the Common Core standards high and relevant. He's right, with a caveat. The governor also said he wanted to eliminate many standardized tests in N.C. schools, a potential conflict with Common Core's emphasis on testing as a way to facilitate state-by-state comparisons. We also hope McCrory remains committed to Common Core if the first round of test results are grim for North Carolina, as some experts expect. Thus far, however, educators and public school families don't know what to believe with their governor. He campaigned as a former educator who would encourage and reward good teachers, yet he signed a budget that will result in bigger classrooms, fewer teaching assistants and stagnant pay. Now he's talking about "unleashing teachers" and producing "highly qualified workers for well-paying jobs." But this week, those words were as empty as the N.C. legislative building.